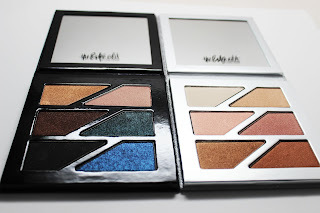 I've got some new goodies for you from Estee Edit! 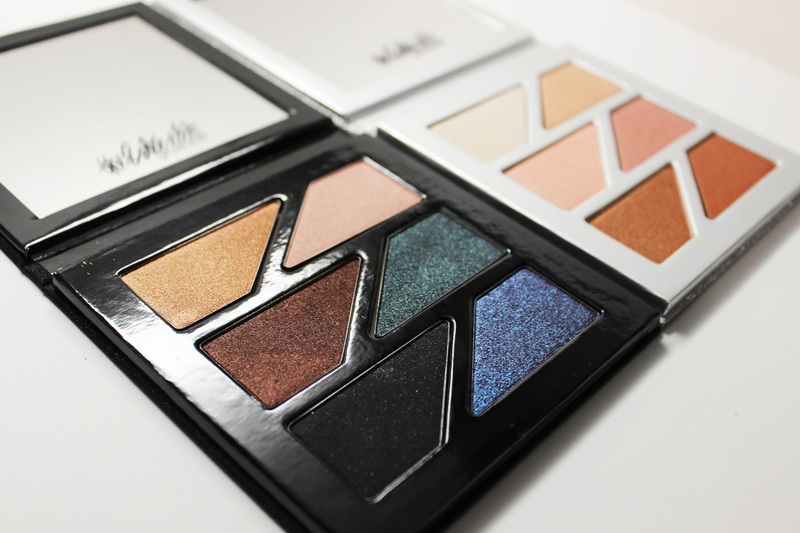 If you love glitter and shine, you need to check out these new Gritty and Glow palettes. Off the bet, I can tell you that the pigment is insane. Check it out! 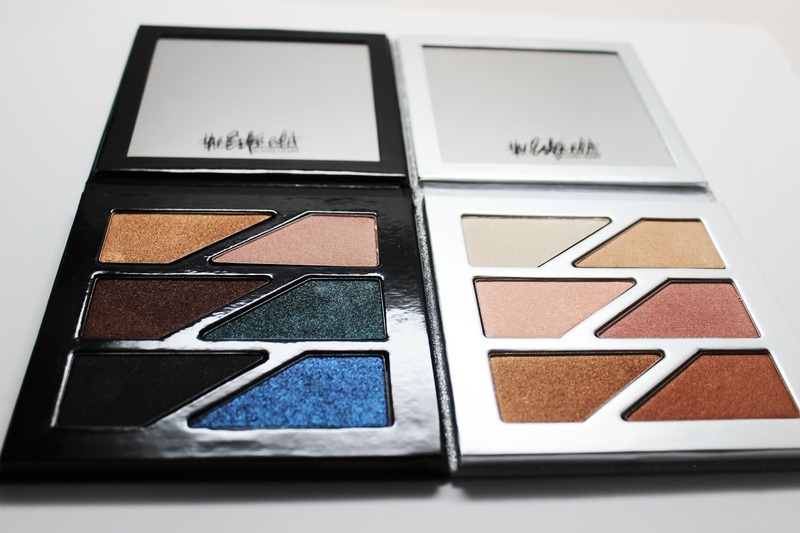 First off, I love the simple yet glitterfied palettes. They are actually magnetics so you can stick them together or handle them separately. 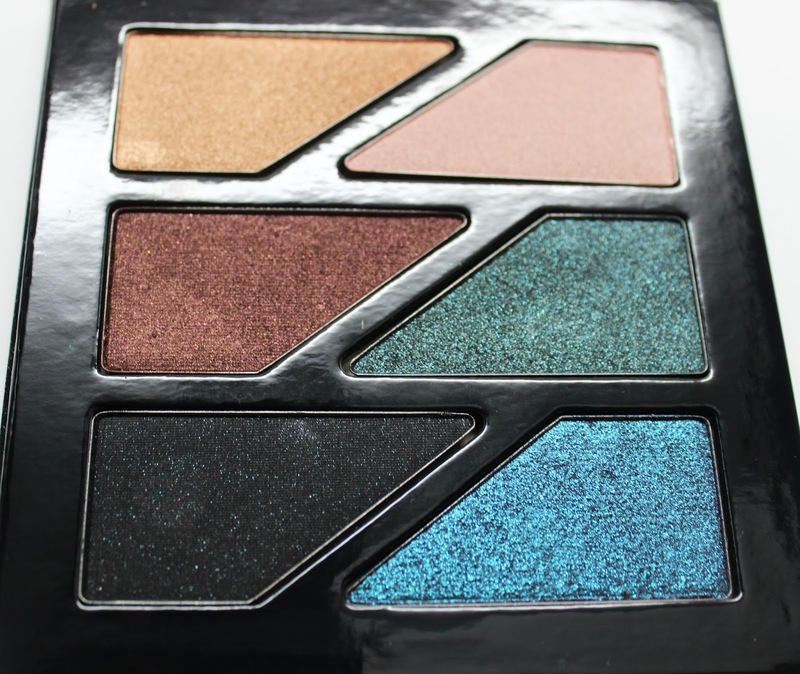 The black glitter palette is Gritty - and contains six metallic eyeshadows. 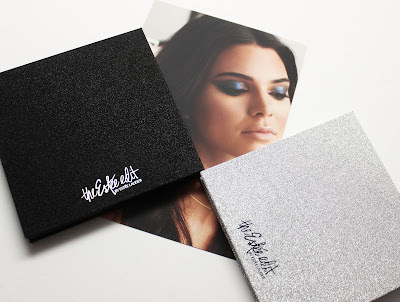 The silver glitter palette is Glow - and contains six highlighter shades. Get high impact eyes and glowing skin, silky-soft, creamy powders are super blendable and formulated with tiny pearl particles to give you the most gorgeous, glistening sheen, two palettes with six shades each, click together or split apart. I think that's actually pretty convenient so they won't move around when being transported in a makeup bag. First off, Gritty contains a nice range of rich metallic shades. I find that I'm able to do an entire eye with this look. 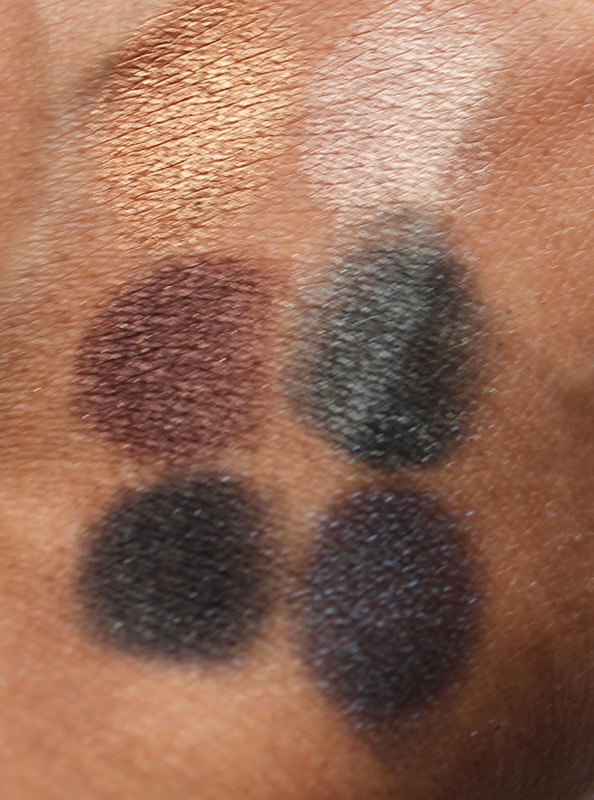 The shadows are super rich, creamy and pigmented. The quality is outstanding. I like the deeper jewel tones for drama...and you also have a few lighter metallic shades to help brighten the eyes up. These swatches are dry, without primer. 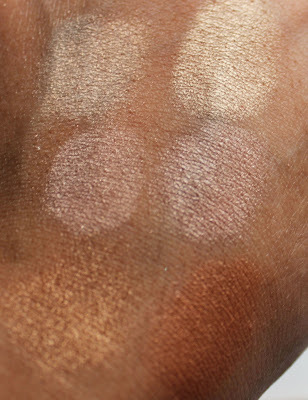 As you can see, you get full opaque coverage with just one swatch, love! The highly pearlized shades would look great combined with some matte neutrals already in your makeup collection. 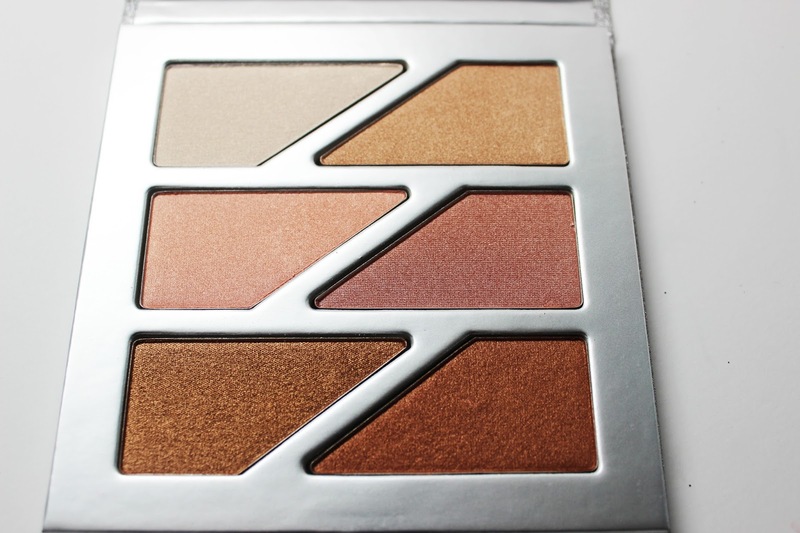 The glow palette contains a nice mix of highlight shades that can actually be used on the face or eyes. These aren't quite as pigmented as the eyeshadows but I think that's a good thing so you don't go overboard with a cheek highlight. They have a color for every skin tone - from a pale opal, to golds, pinks and bronzes. Check out these gorgeous swatches. I would definitely throw some of these colors in my tearduct for a pop of highlight. 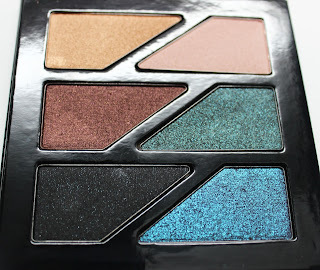 This Gritty & Glow Magnetic Face and Eye Palettes is actually a set that retails for $58 on www.esteelauder.com. I think that's actually an excellent deal considering you get a ton of product and two large palettes with nice mirrors and gorgeous packaging. 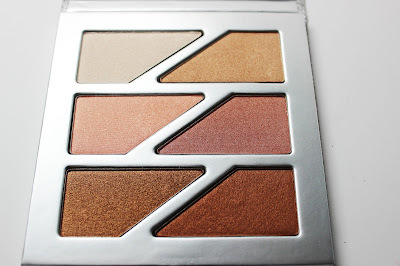 I think this would make an awesome holiday present for a special makeup junkie in your life.